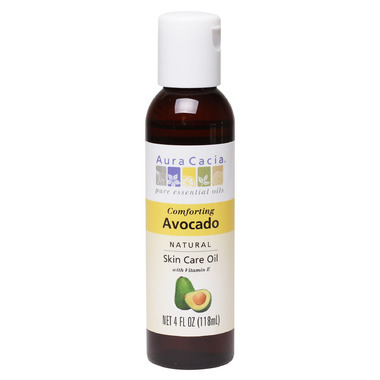 Aura Cacia's Avocado oil is a rich, skin-rejuvenating oil extracted from the creamy flesh of the ripe fruit. This oil is very high in oleic acid and is excellent for massage and general skin care. Add in 1 to 2 drops of Aura Cacia essential oils per teaspoon of Avocado oil for added benefits to your massage! Ingredients: Persea Americana (Avocado) Oil, Tocopheryl Acetate (Vitamin E Acetate).